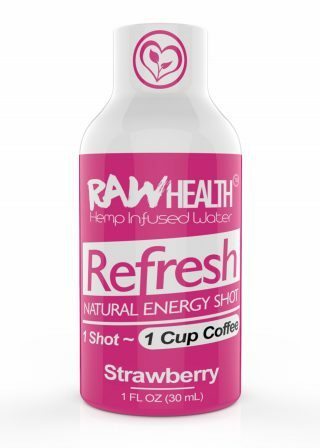 RAW Health Infused Water Shots are all natural, contain no chemicals, nothing artificial and are made with only 9 ingredients. Every Bottle contains Active Broad Spectrum Hemp Oil, not just hemp oil or Bio Material. 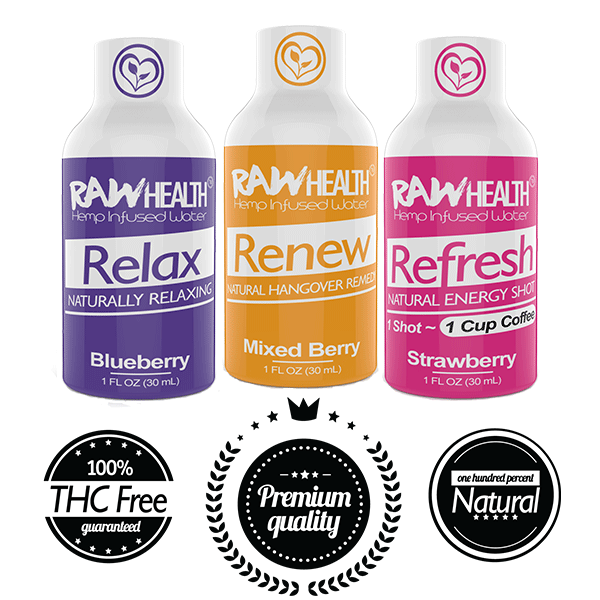 Our water is 100% THC FREE! REFRESH (strawberry) gets you back in the game quick, helps you replace your coffee or soda naturally. RELAX (blueberry) is there for you when you are stressed, need to calm your mind, slow down or sleep. 25MG of ACTIVE BROAD SPECTRUM PCR IN EACH BOTTLE. 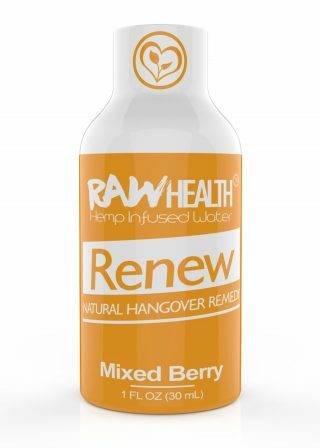 Ingredients: Positively Charged Purified High PH Water, Tapioca Fiber, Agave Nectar, Proprietary Blend Broad Spectrum Hemp Extract Oil, Natural Flavor, Fruit & Vegetable Juice, Citric Acid, Stevia Leaf Extract, All Natural Proprietary Mineral & Herbal Blend.